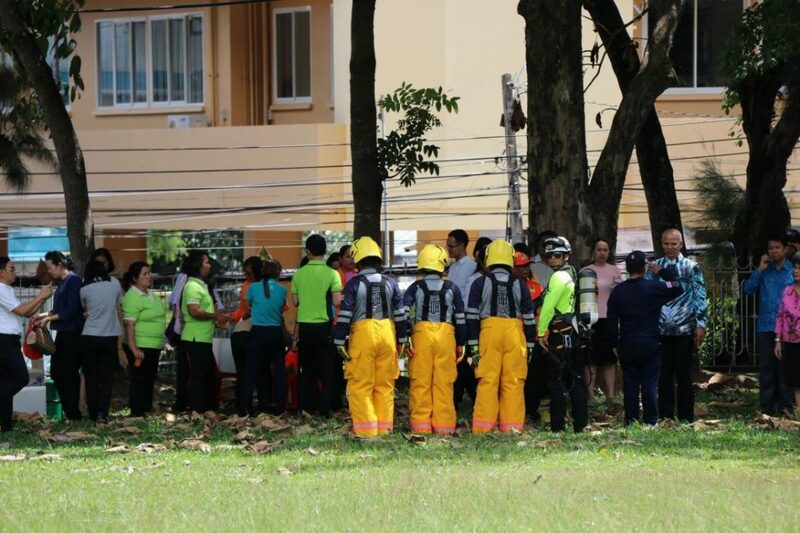 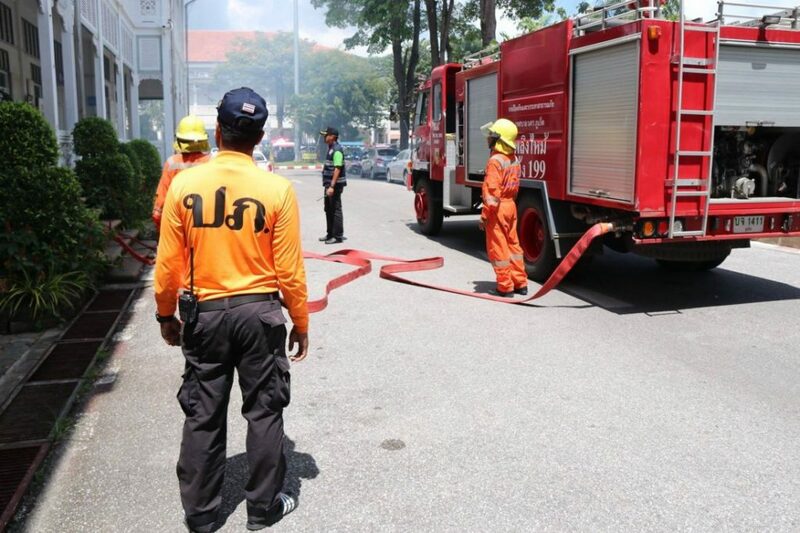 Phuket today (September 12) held a fire drill evacuation at the Phuket Provincial City Hall. 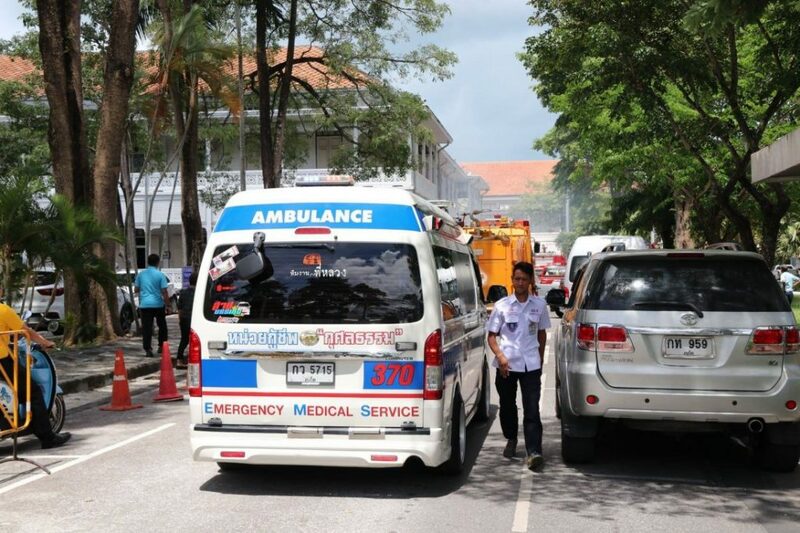 The drill was led by the Phuket Vice Governor Sanith Sriwihok, government officers and local residents. 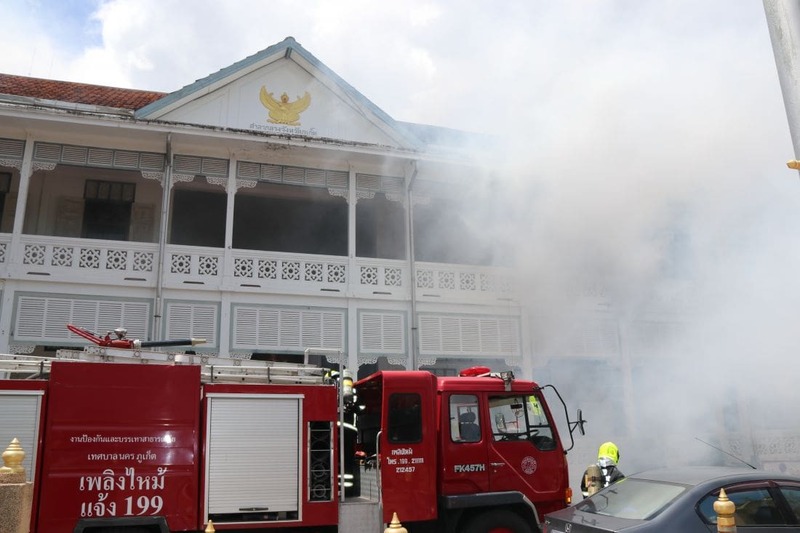 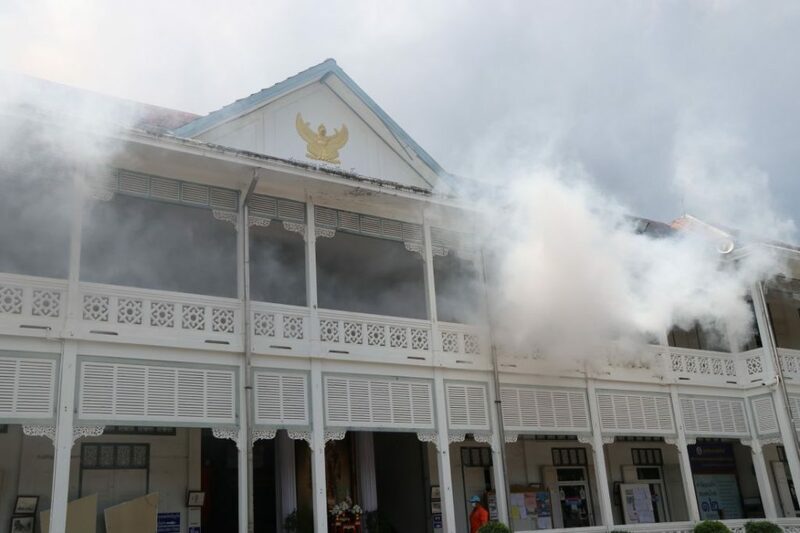 Phuket Provincial City Hall is mostly a old wooden structure and is prone to high fire risk.